For as long as holistic medicine has been in existence, there has been an ongoing debate about whether it is actually a treatment, or a collection of preventative measures. This is because whilst holistic medicine has a strong presence in the actual treatment of disease and illness, holistic practitioners also address the emotional, spiritual, mental and social needs of a patient. This all-encompassing approach can therefore be viewed as a form of preventative care, but it is actually much more than that. The fundamental belief behind the practice of holistic medicine is that the body can heal itself of most conditions if the correct approach is taken. Of course this is in direct opposition to the belief system under which the pharmaceutical industry develops and creates modern synthetic drugs. It is also in opposition to the medical knowledge that is shared with new physicians in medical school. In fact, it is in direct opposition to most of the information that is shared in the Western world. Holistic practitioners, especially naturopathic physicians, only use holistic techniques to help people identify and treat the true cause of their illness. The difference is not in the diagnosis, since naturopathic doctors have the same diagnostic and imaging techniques as physicians in Western medicine. Instead, the difference lies in the way the illness is treated and considers how the various elements of a process or treatment will be applied to achieve a state of wellbeing that encompasses the whole person. Naturopathic and holistic medicine practitioners believe that lifestyle choices make a difference to the overall health of the individual. Interestingly, Western medicine practitioners are also coming to that same conclusion. Research has shown that not only do recreational drugs and smoking have a negative effect on the health of a person, but also lack of sleep or exercise and having a diet high in animal fat and low in vegetables and fruit. For instance, in the case of a headache, the holistic medicine practitioner would approach the diagnosis the same as a Western medicine practitioner by taking a good history and any imaging or diagnostic testing that appeared to be necessary. They would then prescribe any medications that could be used to alleviate the pain. But they would then go one important step further. At this point the holistic medicine practitioner would also ask about your daily routines and lifestyle choices that may also be contributing to the headaches. In order to stop the headaches from occurring in the first place, the causes behind the symptoms must also be addressed. The holistic medicine physician will enquire about stress, tension, and even food allergies with the patient to help find the initial cause of the problem. By addressing the root cause of the problem, the physician can help the patient stop taking the medication needed to alleviate the pain. This is why aromatherapy is considered a highly effective holistic treatment. An aromatherapist will always look at external sources that may be contributing to a physical condition before choosing an appropriate course of action. And because essential oils work on the emotional system as well as on the physical level, their therapeutic properties can often deliver amazing results. Backache may be caused by a pulled muscle – or it may be the signs of stress or anxiety. Either way, essential oils have the ability to bring effective relief. Holistic medicine practitioners always try to educate their patients about the interactions between their lifestyle choices and their ill-health, so that eventually the patient is able to maintain good health independently of the holistic practitioner. But in today’s fast paced society most people are looking for a quick fix, a pill, or even just a health drink that will take away their problems. Then they will go back to a sedentary lifestyle during which they smoke, drink alcohol and eat a diet high in saturated fats and animal meat. Ultimately, it’s all about taking responsibility for your own health since nobody else can do this for you. Once you begin thinking about the consequences of your diet and lifestyle you will have taken a major step towards improving and maintaining your health, the holistic way. And the results will be well worth the small amount of effort it takes. 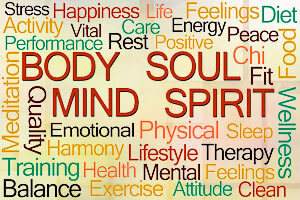 Holistic medicine is a philosophy that takes an integrated approach to leading your life in a balanced way. It is not, as many people mistakenly believe, a form of alternative treatment. Holistic medicine considers how the various elements of a process or treatment will be applied to achieve a state of wellbeing that encompasses the whole person. Where illness is involved, healing should address the mind, body and spirit to restore health to the entire person, on all levels. And that can not be achieved by treating only the physical symptoms. Healthy eating is all about balanced and moderate eating, consisting of healthy meals at least three times per day. Also, healthy eaters consume many different types of foods and don't just limit themselves to one specific food type or food group. No matter what your age may be, eating healthy will help you keep an active lifestyle for years and years. It is a vital part of your holistic health.